A common defect that HumiSeal technical support deals with on regular basis is the wrinkling of high solids RTV silicone conformal coatings. If you are or have struggled with this issue in the past, this blog post will help you understand why this might be happening and what to do to correct it. High solids RTV silicone conformal coatings provide various advantages that help to address many PCB design criteria. Some advantages that an OEM designer might look for the ability to withstand extremely high operating temperatures, good flexibility, and resistance to chemical attack. Fast cure makes these types of silicones attractive for the applicator for high throughput production. However, the fast cure of these silicones makes them prone to wrinkling and therefore compromise the material’s performance (lower SIR, moisture ingress, etc) and less than desired appearance. Furthermore, since silicones are tough to rework, stripping of the wrinkled coating becomes a challenge due to usage and disposal of stripping chemistries. The root cause of wrinkling of the high solids RTV silicones is a difference curing stage between the two sides of coated film. In other words, the applied film surface (top or bottom) is curing at a much faster rate than the opposite side or middle of the coating. The appearance of wrinkles is caused by shrinkage of the cured silicone vs the still uncured part of the coating. 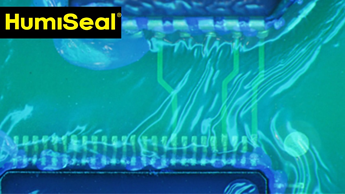 HumiSeal silicone conformal coatings will help you alleviate wrinkling as our R&D team was able to reduce the post cure shrinkage of our high solids RTV coating. 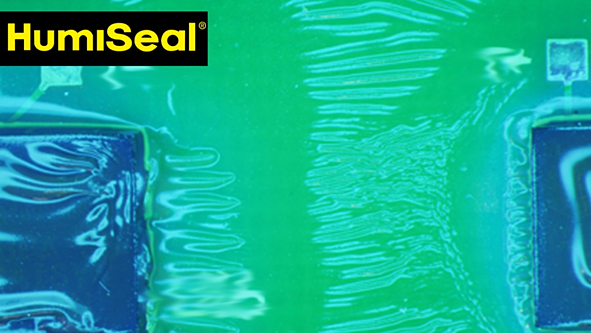 HumiSeal 1C48 is a 100% solids RTV silicone with less than 10 min tack free time. The 1C48 reduced shrinkage rates will help to reduce applicators venerability to wrinkling. Wrinkling of the high solids RTV silicones is a common defect. HumiSeal technical support is here to fields these questions quite often, however, with the right material and a few simple corrective actions can assure you that your coating quality is free from these less desirable attributes. Don’t hesitate to call us and discuss with one of our experts your conformal coating needs.